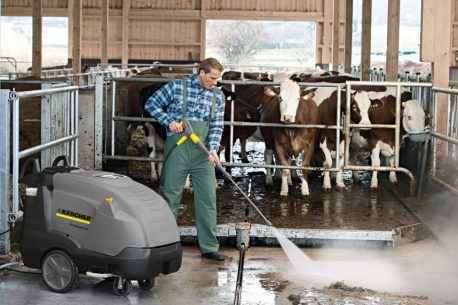 Home / Products / Karcher / Kärcher Pressure Cleaners / Professional Pressure Cleaners / Hot Water / HDS 12/18 4S EASY! HDS 12/18-4 S: this entry-level machine in the Super class of Kärcher hot water high-pressure cleaners is characterised by a high water flow rate, meaning that it can even be operated with a second spray lance. The EASY!Force HD trigger gun uses the recoil force of the high-pressure jet, thereby reducing the holding force for the operator to zero. 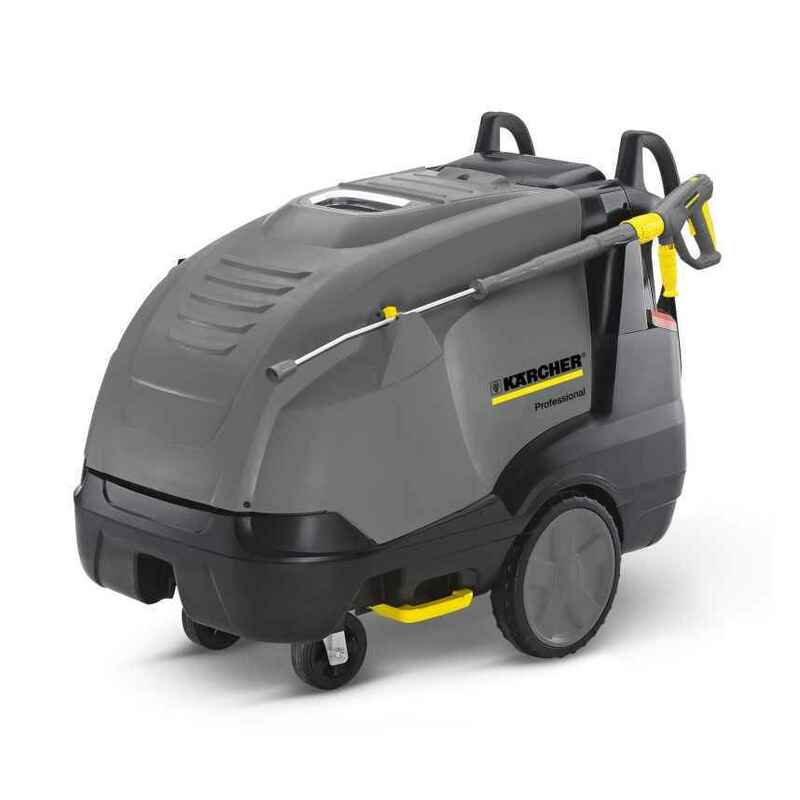 The high-pressure cleaner is intuitive to operate and transport, and thanks to the eco!efficiency mode, optimised burner engineering and precise cleaning agent dosing, it is also highly efficient and environmentally-friendly. The patented nozzle technology, 3-piston axial pump with ceramic pistons and the turbo blower, among other features, ensure an outstanding cleaning performance, while operational safety is guaranteed at all times by precise exhaust monitoring. The robust, corrosion-resistant chassis can also withstand tough applications easily and is simply and conveniently constructed. This allows easy access to all of the important components and ensures that operating data can always be retrieved easily. Precise dosing valve ensures low consumption. Easy changeover between cleaning agent tanks 1 and 2. Led display with Fuel, cleaning agent, system maintenance indicators.